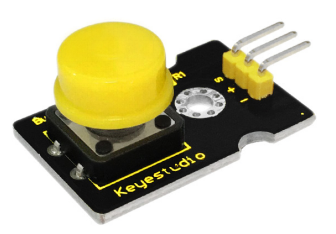 This is a basic button application module. Momentary Pushbutton Switch usually stays open. When it is pressed down, circuit connected; when it is released, it will bounce back to the status of disconnection. The module has three pins for easy connection. 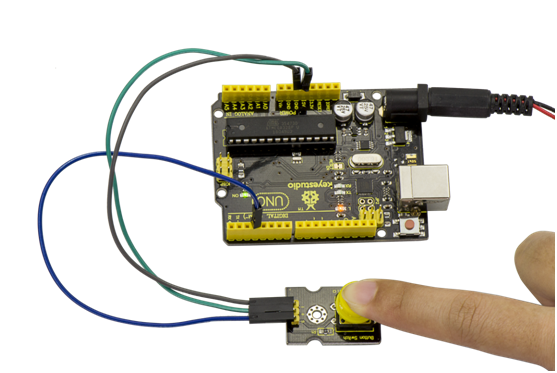 You can simply plug it into an IO shield to have your first try of Arduino. /* # When you push the digital button, the Led 13 on the board will turn on. Otherwise,the led turns off. 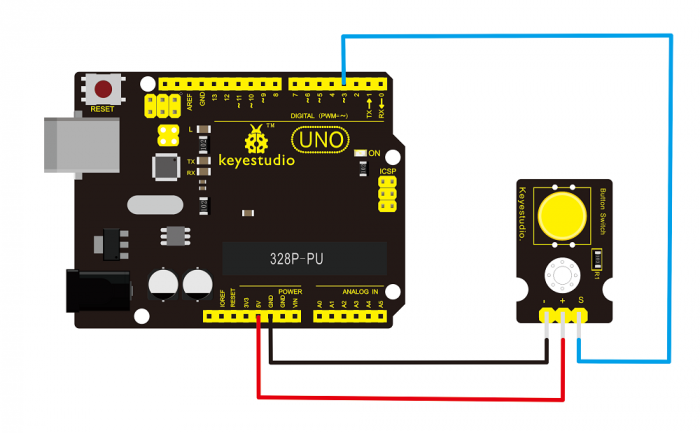 When you push the digital button, the Led 13 on UNO board will be on. When release the button,the led is off. Shown as below. 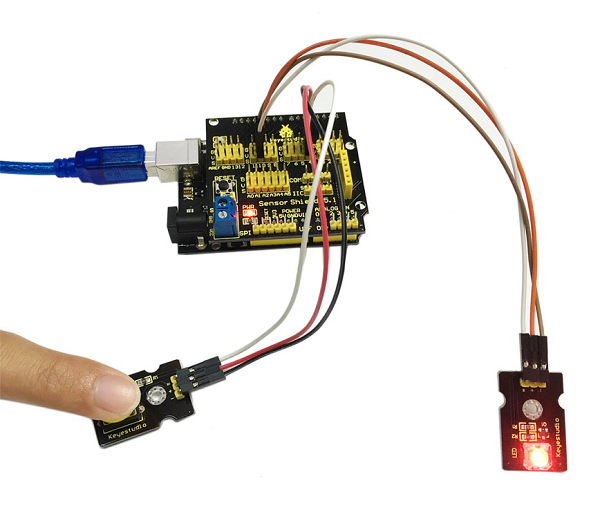 To obviously observe the LED state, you may connect an LED module. Try to program it by yourself. Press the button to control the LED on and off. This page was last edited on 12 April 2019, at 16:45.